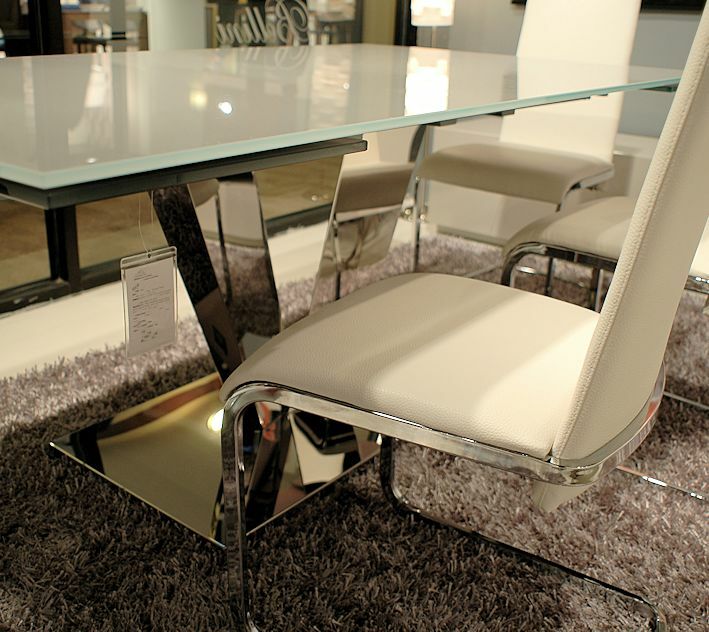 $ 2,395 - Otello expandable dining table w/ Grey glass top and Polished Stainless Steel base. Shown with Jolie chairs in White leatherette and Chrome frame - $ 250 ea. Also available in Black, Dark Brown or Grey. 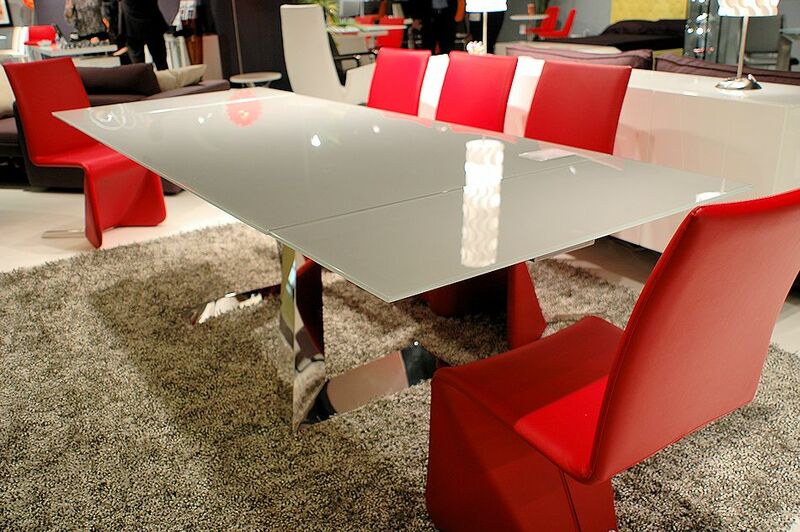 The Otello expandable glass dining table offers Italian style at an affordable price. It's stunning. Imported from Canada. $ 2,150 - Tessa expandable dining table w/ tempered Grey glass top and Polished stainless steel legs. Also available with Black, Dark Grey, Sand Brown or White glass top. The Tessa dining table is elegance at an affordable price. Shown with Bernice chairs in Red $ 295 ea. Also available in Black, White and Brown. Imported from Canada - made in Asia.